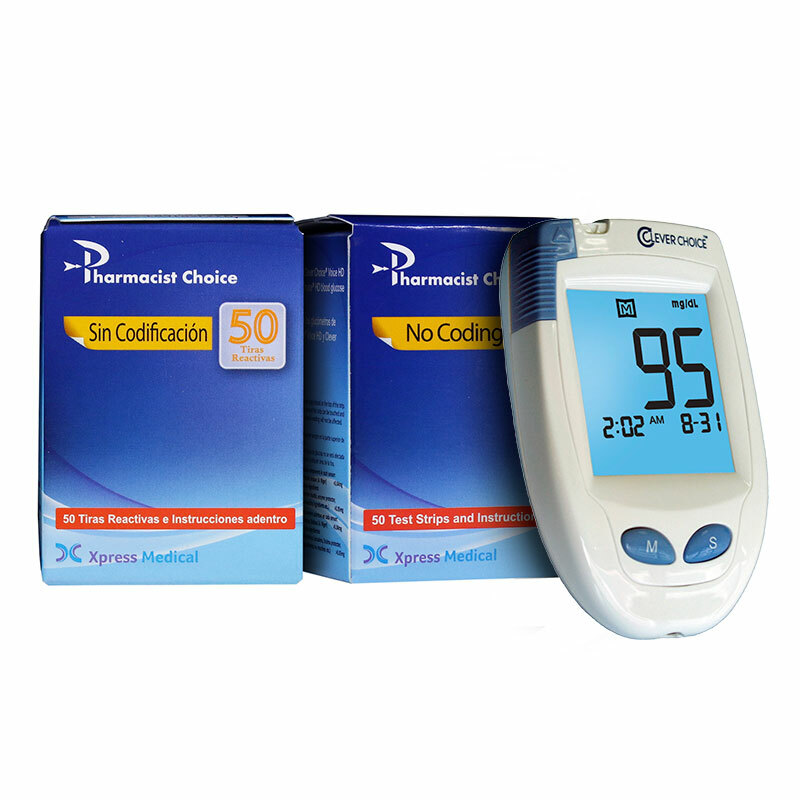 The Clever Choice HD Blood Glucose Monitor device is consistent with the high standards seen in the original Clever Choice glucose meter as well as provides additional benefits and features for patients. The Pharmacist Choice Test Strips require only 7 ul of blood and allows for alternate site testing. Box of 100 test strips included. REF# CLEMHD. The Clever Choice HD Blood Glucose Monitor is excellent for the diabetic patient. The Clever Choice HD requires No Coding, which means fewer steps and avoids the danger of false results caused by coding errors. Simply insert the test strip into the test strip port—located at the top of the meter—and the Clever Choice automatically turns on. The Clever Choice HD is easy to use while providing safe, accurate test results every time. The Pharmacist Choice (formally Clever Choice) glucose test strips feature alternate site testing and only 7 ul of blood is required for testing. Sold 1 monitor per box. Dimension (inch) 3.46" x 2.1655" x 0.98"